-Olick, Diana. “Home Prices Are Set to Soar in 2018.” CNBC, CNBC, 2 Jan. 2018, www.cnbc.com/2018/01/02/home-prices-are-set-to-soar-in-2018.html. I recently shared an article taken from the Colombian stating that staging a home can often raise the sales price of a listing. After reading the article, I wanted to do a little more research in order to figure out the true pros and cons of home staging. Being a realtor I have heard the argument both ways, some stating that home staging that is done correctly can be very effective versus some saying comparables have a much higher influence on the price of a home. After hearing both sides and taking on some research of my own, I’ve come to the following conclusion. I believe home staging can be an effective tool when selling a home, but believe there is a long list of variables to consider before making a decision either way. In this piece I will try to touch on a few of those variables and give my opinion to the value of staging. The first and most important variable to consider when deciding to stage a home is the state of the market that the particular residence resides in. For example, both Normandy Park are West Seattle housing markets are extremely hot with properties moving in a matter of days. For homes priced in an average range in markets like West Seattle or Normandy Park I believe that staging will have a minimal effect. Most homes that are priced properly in line with comparables are going to get multiple offers whether they are staged or not. 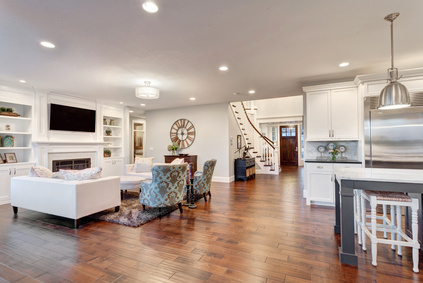 However if you were selling your home in an area with a high amount of inventory then staging might give the owner the added advantage to selling their home quicker. The next factor to consider would be the actual selling price of the residence. If the owner is listing their property for 1 million or higher then the home should be staged. The biggest reason is because once a seller enters a marketplace where the price of goods is going to be very high, it is important to note that the amount of people that could purchase said good will drop dramatically. In that sort of competitive environment it is important to gain every possible advantage. Staging might give the seller that additional edge needed to convince a buyer that this is the home for them. The last factor I wanted to touch on, although it may be a bit obvious, is the actual state of property being listed for sale. If the residence being listed is going to be an investment property that is going to be remodeled, staging probably wouldn’t be the best use of the seller’s funds. The main reason behind this is most of the potential buyers are going to be investors who already have an idea what they are going to use the property for so staging is unlikely to sway them either way. This is my opinion on some of the factors to consider when deciding to stage a home. I am sure that some realtors will see it this way, while others may disagree. However I hope this piece is helpful for you sellers out there looking to list your home and considering staging as an option! What are exact reasons an owner would overvalue their home and how important is it to arrive at a realistic market price? The reasons an individual might overvalue his or her home are numerous, but I just wanted to touch on a few. The main, and probably most obvious reason for a high valuation of one’s home is because the owner has become emotionally attached to the property. Becoming emotionally invested in a home is completely understandable, perhaps it was a couple’s first home after they were married or possibly it’s the home parents have raised a family in. Whatever the reason is, it is important for the owner to know that these reasons don’t usually add any value to a prospective buyer. There is an old poker adage that says, “ never fall in love with your hand.” What this basically means is the more attached you are to a hand, the harder it will be to fold such hand, even when you know you should. The same rule applies for a house, as an owner it is paramount to look at facts when valuing your home rather than sentimental value. Regardless of which brokerage / agent you decide on, please keep that old poker adage in mind. The second biggest reason owners will tend to overvalue is because they know the exact cost of every repair and upgrade they put into the home. History shows that it is often difficult to recover all of the money spent on costly renovations. While aforementioned remodels will help add value, owners will often think they can get back the total cost of the renovations plus some on top. Sadly, it is rarely the case that owners can recover the entire cost of a renovation. Keep in mind that the above statement pertains to owners who are planning to actually live in the home. These factors do not include professional “home flippers” who buy a run-down property for cheap, quickly drop in some remodels and place it back on the market. It’s important to note that these professionals are highly experienced at flipping homes, can do work in a very cost effective / efficient manner, and can turn properties around extremely fast. It is unrealistic for most homeowners to think they can do the same. Arriving at a realistic market price is probably the single most important part of selling a home, slightly edging out how a property is marketed. As stated earlier it is important to only consider factors that are going to be relevant to prospective buyers, things like location, bedrooms, square footage and prices of local comparables are all important factors to take into account. When using the proper items correctly a homeowner will usually arrive at a correct market price and the home should sell. However, if an owner arrives at a high valuation based on factors that aren’t relevant to the buyer, the home may end up not selling at all. The failure to sell a home, especially in a hot market like West Seattle or Normandy Park, is an absolute tragedy. West Seattle and Normandy Park are markets where homes tend to move very quickly, unless they are hugely overpriced. In a previous post we did write that currently in the West Seattle and Normandy Park markets owners could look to price on the aggressive side, but please note that aggressive and overpriced are not the same thing. Overpriced homes (Prices significantly higher than market price) will tend to sit on the market a very long time and will usually sell for less than if the owner had sold it at a competitive price in the first place. The reason being that the best window to sell a home is up 0-14 days after a home hits the market, afterwards buyers and agents begin to overlook the residence. Additionally, any offer received will likely be lower due in part to buyers possessing more leverage because there will usually be more pressure on the seller to accept an offer. Aggressively priced homes (Prices only slightly higher than market price) will still tend to move in hot markets, with all other factors being equal. Those who decide to utilize an agent would be well served to find a very experienced and local agent who will give an owner an honest and accurate opinion for the fair market value of a home. 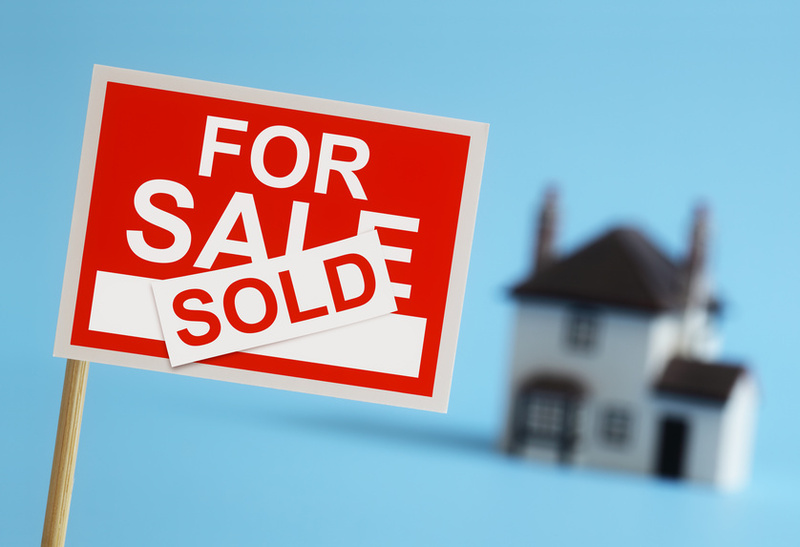 Those who decide to go the for sale by owner route, which can usually prove to be extremely difficult but not impossible, be sure to consider tangible factors to give yourself the best shot to sell a home. We hope this helps you owners out there looking to sell! Looks to be a good sports weekend in Seattle upcoming. Whether you are a soccer or baseball fan the city has you covered. The ‪#‎FACup‬ final is happening this weekend between Arsenal and Aston Villa FC – Official. If you are looking for a good way to to get Saturday started and catch a glimpse of some top quality soccer in the process, tune in at 9:30 am on Saturday to watch the match unfold live at England's Wembley Stadium . For those of you that are a little more adventurous we would recommend making the journey to what is arguably Seattle's best soccer bar, the George and Dragon in Freemont, to witness the game aside passionate fans. A preview to the match can be seen by following this link. After the game why not explore downtown to take advantage of the beautiful weather we have been having this week and grab a bite to eat. We would recommend somewhere with a patio, Frolik Kitchen + Cocktails would provide a welcome rest. Located on the fifth floor of Seattle's Motif Hotel, Frolik provides stunning views of the Sound, expressive cocktails, and Shuffle Board / Ping Pong for those looking to stay amused. After Frolik you can slowly make your way through the Central Business District and Pioneer to Safeco field to watch the Seattle Mariners take on the Cleveland Indians with the game scheduled to start at 7:10 pm. On your way to the game be sure to check out the numerous art galleries and shops that are sprinkled throughout the city. Make sure to rest up after a Mariner's victory because Sunday will give you the opportunity to watch the first place Seattle Sounders FC take on the New York Red Bulls. With the match scheduled to start at 2 pm it might be worth it to stop somewhere for breakfast. Salty's on Alki beach would be great spot for numerous reasons, firstly being the brunch is renowned as one of the best in the city. 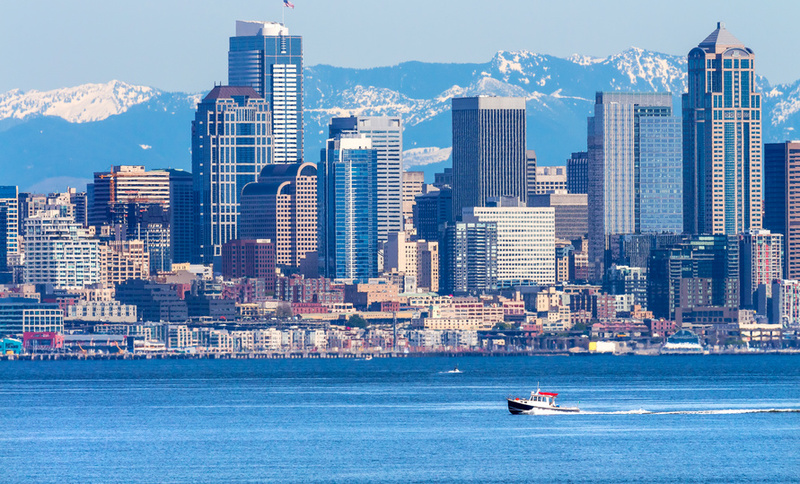 The second reason is that after the meal, you can just hop on the water taxi right down the street which will take you across Elliot Bay and footsteps from CenturyLink Field. From there the choice is yours, although a lot of people tend to head to pioneer square to march down with Emerald City Supporters which can be a fun and exciting experience. For those that prefer a different option, the area around the Clink has numerous options for everyone's taste. After cheering on the Sounders to victory, simply hop back on the water taxi and head home! Normandy Park Real Estate Market Continues to be Hot! Real Estate agents can’t put enough homes on the market in Normandy Park quick enough. April 2015 was 4th consecutive month in a row that Normandy Park was able to drop the average number of days (ACDOM) that homes were on the market before they sold. January was the first month that the ACDOM dropped, nearly cutting the December number of 149 days in half to 83 days. February was another great month for Normandy Park as it continued to cut days down to 64. March signaled the start of the Seasonal Real Estate buying season as it enjoyed nearly a 2/3 cut in February’s ACDOM down to 24. April did not disappoint as it further slashed the miniscule number of 24 days down to 11. It is also worth mentioning that during this period homes sold for an average of 97.75% of their listing price. The reason that these numbers are significant is that they can give sellers are buyers alike important indicators on how much to sell / offer for a home currently in the Normandy Park area. For sellers, with homes going so quickly, inventory low, and homes going for close to asking there are two routes that you could take in order to get the maximum value for your home. The first option would be to price extremely aggressively as there isn’t a large supply and with these external factors there will be a higher chance that you will receive your listing price. The second option would be to price your home slightly lower in order to receive multiple offers, a couple of which are likely to go over asking (This is currently happening in abundance in West Seattle). For Buyers looking in Normandy Park your offers should be pretty straightforward if your seriously trying to close on a home. Make your offer as strong as possible. No sense in trying to be clever in this market as most sellers will be reviewing multiple offers on a certain day and are usually going to take a combination of the highest / strongest offer that has the least amount of likelihood of falling through (All Cash or high % down payments). That being said it is still important to find out what the fair market value is for the home as you don’t want to overpay just because demand is so heavily dictating price. Once you have that price our recommendation, at least in Normandy Park, is to come in as strong as possible. We hope this article helps shed some light on the Normandy Park Real Estate Market! Below you will see a graph that shows the ACDOM for home in Normandy Park from April 2014 to April 2015. The info includes homes that sold for above $400,000, no new construction, and were non-bank owned property.